We offer a variety of courses with a blended phonics approach from the Help Me 2 Learn Company. Below is a brief description of each of the courses. Our courses offer a variety of conent including: fun reading games, songs, lessons, and interactivity to help kids learn to read. This site is designed for Home and Home School Users. Click on a title to see more information about that course. These courses are available on this site for home and home school users as a monthly subscription with packages from $4.95 to $9.95 per month. These courses are web based and require a connection to the Internet. A high speed connection is recommended. To learn more about our course bundles, click on: Course Bundles or to see the bundle options click on: Sign Up. If you have started a free trial of have subscribed to the site, please click on Log In on the right side of the black bar near the top, to access your courses. This content-packed interactive course builds the foundation for success in reading and math. 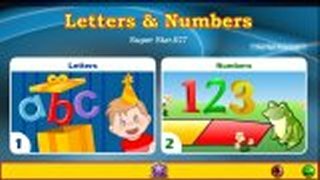 Letters and Numbers features 11 sing-along songs and 15 two-level activities to teach children letter names, numbers, phonics, basic addition, and more. This course features an introduction to phonics sounds, beginning sounds and ending sounds. Great phonics games for esl or any kid who wants to learn. Ages 3 - 6. Beginning Reading with Phonics is designed get kids excited about learning to read as they learn beginning level reading skills and words. Though this course is based on reading standards and research, this course is designed to make learning to read easy and fun. Beginning Reading with Phonics not only teaches kids how to read, but can help parents and teachers with how to teach phonics. Designed for Kindergarten, with reading games for kids, this course will help all beginning readers. Beginning Reading with Phonics features 9 blended phonics activities and numerous stories and story building activities. Ages (iOS, Android and computer compatible) Ages 4 - 6. Silly Pictures is designed to introduce reading and build vocabulary. They say that a picture is worth a thousand words and we believe that "they" (whoever "they" are) might be right. The purpose of Silly Pictures is to help beginning readers learn and This mini course is an expanded version of activities found in our Beginning Reading with Phonics course. With our learn to read games, kids gain imporant skills that are so important. We decided that we needed to give students more practice with these skills. Ages 2 to 4. Silly Sentences is an online (Super Star Online) course designed to help students build and understand sentences. This mini course is an expanded version of activities found in our Beginning Reading with Phonics course. These skills are so important that we decided that we needed to give students more practice with these skills. Ages (iOS, Android and computer compatible) Ages 4 - 6. Phonics 1a is a beginning Phonics and Reading program that thoroughly covers the short and long vowel sounds, providing the foundation for reading success. This course features 10 blended phonics activities, 10 songs, 5 prentations and 12 phonics games. (iOS. Android and computer compatible) Ages 4 -7. Phonics 1b thoroughly covers one-sound consonants, sight words, and sounds in the middle of words. This interactive educational course includes 5 songs and 20 activities. The "Learn the Words" (our blended phonics vocabulary building activity) section allows the student to see and hear how over 200 words are formed using whole words and phonics sounds. This course also covers sounds in the middle of words, reading words and sentences, story building and beginning spelling. (iOS. Android and computer compatible). Ages 4 - 7. Learning intermediate phonics becomes a finger-snapping experience with this musical multimedia course! Phonics 2a begins with a review of basic phonics concepts and sounds. The "Learn the Words" section helps the student see a picture of the word, see and hear the word, and then see and hear how the word is formed phonetically. This course covers: blends, digraphs, antonyms, synonyms, homonyms, dipthongs, compound words and rhyming games. Exciting and challenging spelling and review games give students a jump-start on reading and spelling. (iOS. Android and computer compatible) Ages 6 - 10. Phonics 2b is designed to work on problem areas of the English language, building the skills that students will need to be more comfortable with reading. The lessons are presented as animated and interactive stories starring the "Super Star Kids". The "Learn the Words" section transitions students from word sounds to syllables and sentences, followed by a Speed Round. Interactive activities and challenging games help students understand and apply the concepts while keeping them engaged. Ages 7 - 11. Designed as a review for remedial and at-risk students, Language Arts Review 3a uses young adult characters and sports games to engage students in fundamental language arts skills. The techniques will help older students and adults improve their reading and comprehension and have a great time doing it. Ages 7 and up. Featuring young adult characters and sports games to engage students in fundamental language arts skills, Language Arts Review 3b will appeal to middle school, high school, and adult students. It is especially appealing to to students who require lots of action and activity to keep their attention: from stock car racing to hot air balloons, pole vaulting to archery, and even hockey, bowling, and baseball, our games give immediate feedback to students on their progress. Ages 7 and up. 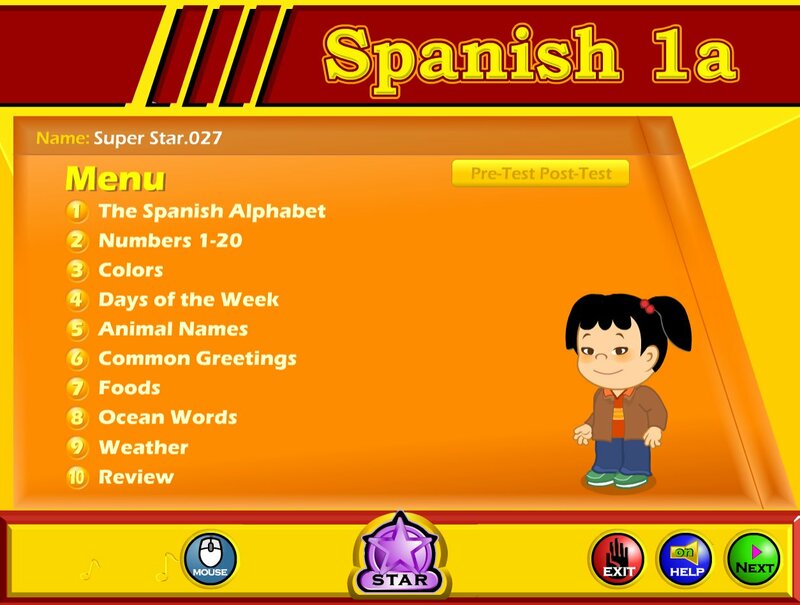 Spanish 1a with Phonics is a unique educational program presented in the context of enjoyable games and activities. This bilingual program teaches Spanish to English-speaking students and Ingles to Spanish-speaking students. The focus is not on how many words you can memorize, but on the process of learning new words through recognizing the letter sounds and patterns. Rich in pictures, sounds, and animated illustrations, Spanish 1a with Phonics is sure to be the best way to begin to learn Spanish or Ingles. Ages 4 and up.